Welcome to the Bioenergy Quiz! Navigate through the quiz by clicking on the circular buttons and selecting the correct answers to the questions. Use the scrollbar to move down the page and view all of the information displayed. Hover over words and phrases highlighted in orange for an explanation of terms. Share the information by clicking on the buttons in the Share This block. Use the arrow button found in the bottom right-hand corner to return to the top of the quiz. How much do you know about bioenergy, how it is produced, what it is used for, and how it can help our economy and the environment? 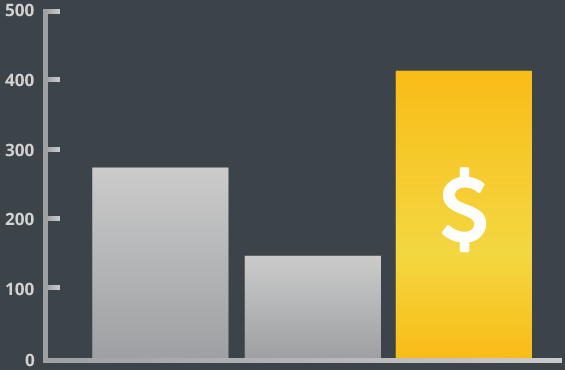 In 2013, approximately how much money did the United States spend on imported crude oil? Correct Answer: In 2013, the United States spent nearly $274 billion on imported crude oil. Transportation fuels that power cars, trucks, trains, ships, and planes are among the many products made from refined crude oil. The United States imported more than 118 billion gallons (2.8 billion barrels) of crude oil at an average cost of $96.99 per barrel. This means that the United States spent about $274 billion to purchase this resource from foreign countries. There will likely always be a need to import some quantity of crude oil to meet our country’s diverse energy requirements. However, import prices can fluctuate significantly. For example, 2013 crude oil prices ranged from $89 to $103 per barrel. It is important that the United States have alternatives to imported oil in order to ensure a competitive advantage. Producing and consuming biofuels in the United States can help guard against oil price volatility, support the economy, and strengthen our energy independence. "About the Bioenergy Technologies Office: Growing America’s Energy Future by Replacing the Whole Barrel of Oil," (2014). U.S. Department of Energy Bioenergy Technologies Office. "Petroleum Marketing Monthly," (2014). U.S. Energy Information Administration. "U.S. Crude Oil Supply & Disposition,” (2014). U.S. Energy Information Administration. 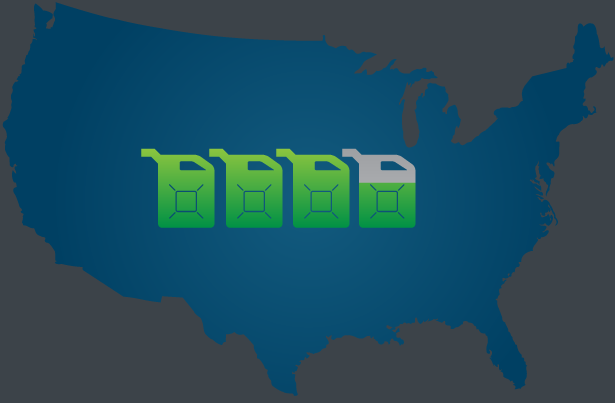 Approximately how much biofuel was consumed in the United States in 2013? 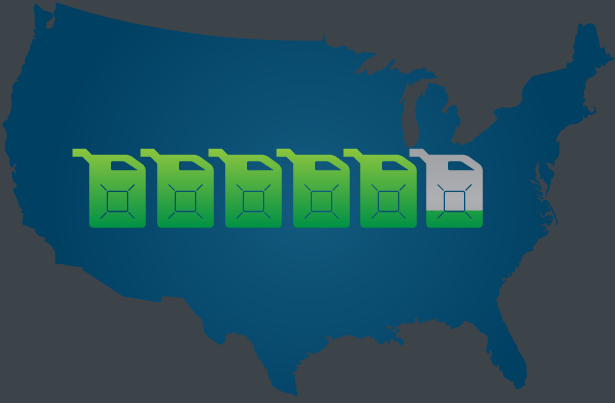 Correct Answer: In 2013, the United States consumed more than 14.5 billion gallons of biofuels, reducing our need for gasoline and diesel fuels made from crude oil. Biofuels produced from domestic biomass feedstocks have already helped America reduce it's dependence on imported oil. 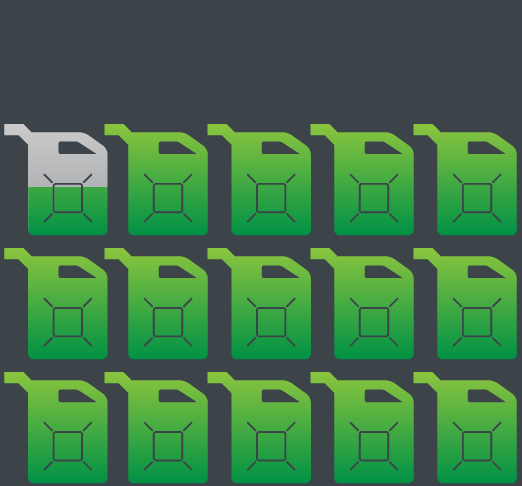 Most biofuel in the United States is currently produced from corn grain. However, the U.S. Department of Energy’s Bioenergy Technologies Office (BETO) is supporting research, development, and demonstration activities focused on sustainably producing cellulosic and other advanced biofuels from non-food sources, including agricultural and forest wastes, energy crops, and even algae. 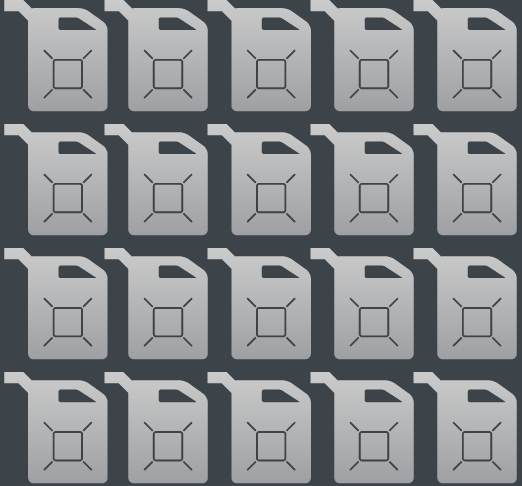 "Petroleum and Other Liquids," (2014). U.S. Energy Information Administration. 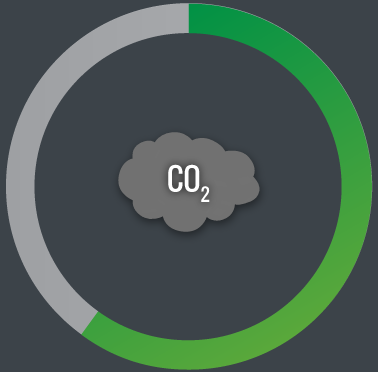 greenhouse gas emissions when compared to petroleum-derived gasoline? Correct Answer: Cellulosic biofuels can reduce greenhouse gas emissions by more than 60% compared to petroleum-derived gasoline. 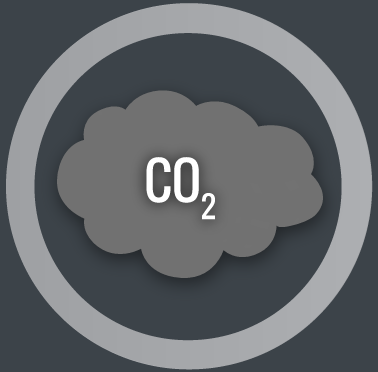 To assess the life-cycle impacts of biofuels on greenhouse gas emissions, biofuels are credited with all the carbon dioxide captured and stored as the biomass grows, as well as any emissions created during harvest, conversion, distribution, and use. 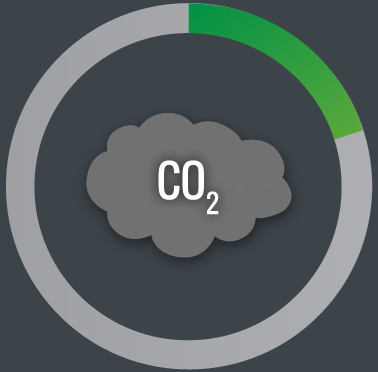 Recent studies suggest that cellulosic biofuels produced using sustainable practices may be able to reduce carbon dioxide emissions by as much as 86%. This means that the same amount of energy can be produced with significantly less climate-disrupting pollution. "EPA Lifecycle Analysis of Greenhouse Gas Emissions from Renewable Fuels," (2010). U.S. Environmental Protection Agency. "Ethanol Benefits and Considerations,” (2014). U.S. Department of Energy Alternative Fuels Data Center. Wang, M.Q. ; Han, J.; Dunn, J.B., Cai, H., Elgowainy, A. (2012). "Well-to-wheels energy use and greenhouse gas emissions of ethanol from corn, sugarcane and cellulosic biomass for US use.” Environmental Research Letters, (7:4), 2012. Wang, M.Q. ; Han, J.; Haq, Z.; Tyner, W.E. ; Wu, M.; Elgowainy, A. (2011). "Energy and greenhouse gas emission effects of corn and cellulosic ethanol with technology improvements and land use changes.” Biomass and Bioenergy, (35:5), 2011; pp. 1885–1896. 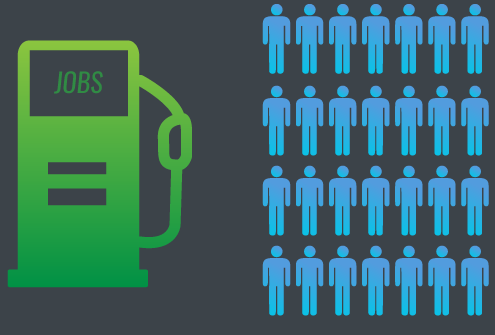 Approximately how many U.S. jobs have been created by the U.S. biofuels industry? 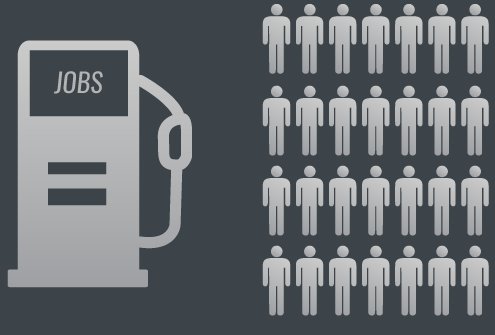 Correct Answer: The U.S. biofuels industry supports an estimated 280,000 direct and indirect jobs. An increase in production of biofuels from domestic, renewable biomass is helping to keep and create jobs in this country. 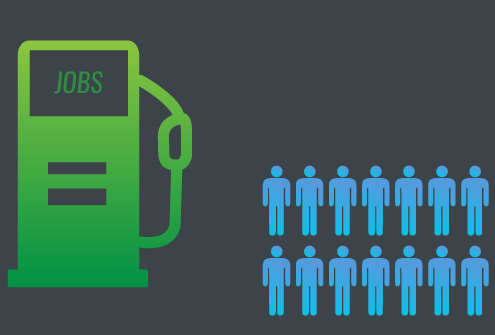 Estimates based on recent studies conducted by industry associations suggest that more than 280,000 people are currently employed in positions directly or indirectly supported by ethanol and biodiesel production. A resilient bioenergy industry will be the source of a variety of jobs across several sectors, including scientific research, agriculture, engineering, construction, plant operations, and sales. 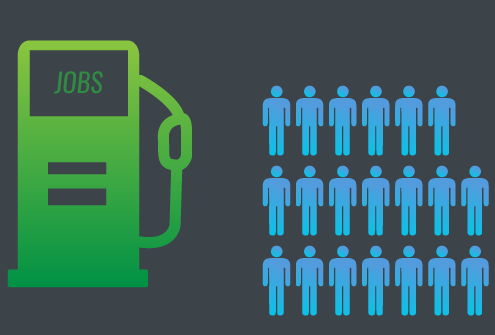 These types of bioenergy jobs help stimulate the U.S. economy. Urbanchuk, J.M. (2015). "Contribution of the Ethanol Industry to the Economy of the United States in 2014." Prepared by ABF Economics for the Renewable Fuels Association, 2015. "Production Statistics," (2015). National Biodiesel Board. Brown, J.P.; Weber, J.Q. ; Wojan, T.R. (2013). "Emerging Energy Industries and Rural Growth." ERR-159. U.S. Department of Agriculture Economic Research Service, 2013; p. 19. 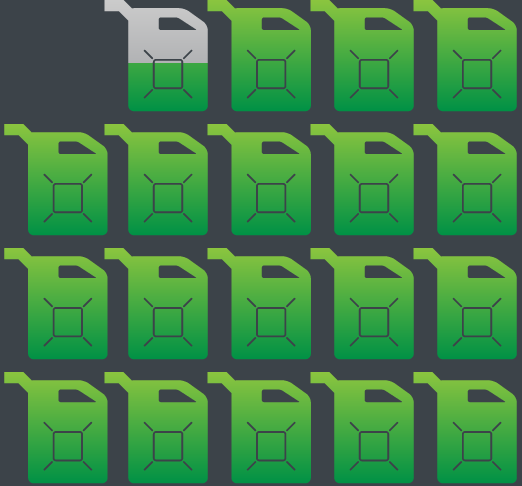 By 2030, how much biofuel could be sustainably produced in the United States each year? 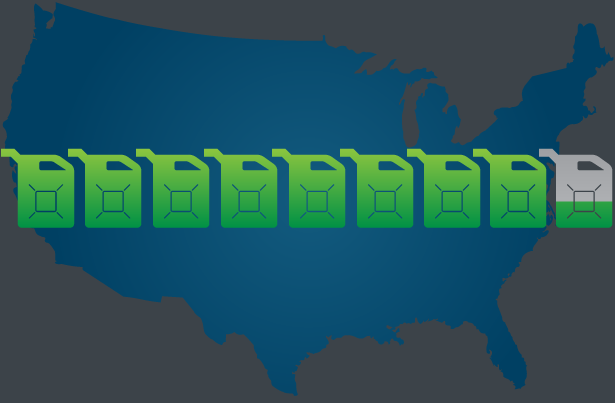 Correct Answer: By 2030, the United States could sustainably produce as much as 85 billion gallons of biofuels annually. By 2030 U.S. agriculture and forest resources could potentially produce a billion dry tons of biomass annually, without impacting the production of food, feed, and fiber crops. These production levels could be reached even while farmers and foresters follow good management practices to protect soil quality, water quality, and other natural resources. 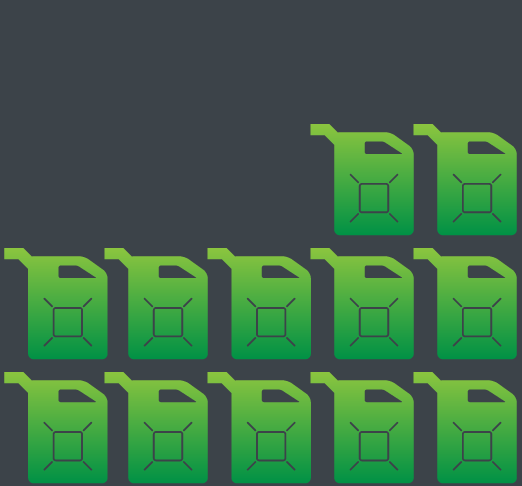 With continued developments in biorefinery capacity and technology, the billion tons of biomass feedstock could be converted into 85 billion gallons of biofuel. This would be enough to displace nearly 30 percent of the nation’s current petroleum consumption by volume. U.S. Department of Energy (2011). 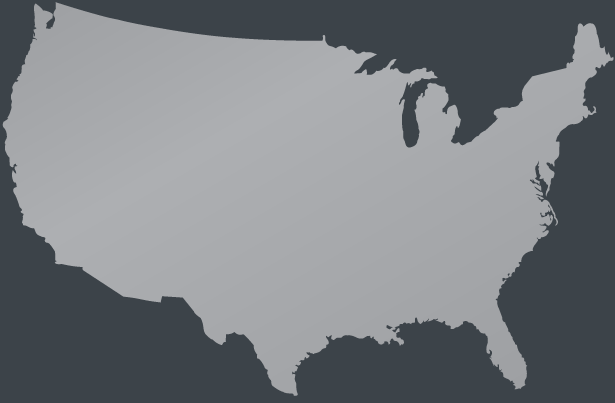 "U.S. Billion-Ton Update: Biomass Supply for a Bioenergy and Bioproducts Industry," R.D. Perlack and B.J. Stokes (Leads), ORNL/TM-2011/224. Oak Ridge National Laboratory, Oak Ridge, TN. 227p.